Ahh… April. The start of when we thaw out in my nook of PA, and everything turns to mud. Spring on our mountain translates to our yard being complete mud until the end of June. 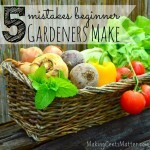 But that doesn’t mean we can’t get to gardening! The beginning of the month still gives us cooler nights, usually in the 20s and 30s. The end of April brings us 2 weeks away from our last frost date if I’m being really adventurous, but it’s really 4 weeks away from our last frost date. 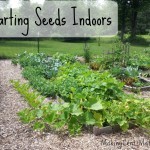 Being in Zone 5, it’s not until the end of April that I’m able to start planting seeds directly in the ground, and transplant some of our cooler weather crops that I started indoors in late February and early March. It’s also a neat month because I’m able to plant our cool weather crops outdoors and summer crops indoors at the same time. 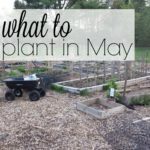 But wacky weather aside, here’s a run down of what I’m planting in April, as well as our garden chores for the month. This month is a good time to get out there and till up our raised beds. If I go out too early, when the dirt is still super muddy, it’s a mess to till and the dirt becomes clumped. This month I’ll also top off any beds that need some extra dirt and compost. We’re moving our strawberry patch this year as well. When we planted the strawberries here, it was just a temproary situation for the 4 plants we started with. They’ve grown like crazy in the last 2 years, and it’s time to thin them out so they stay healthy. Hubs wants to add a few more beds around the edge of our fencing, and that’s where the plants will go. 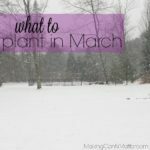 If I didn’t get to mapping out my garden plans for this year in March, I’ll need to do that this month. When soccer starts in the middle of the month, life becomes a whirwind until the middle of June, and I would rather have a plan of what is going to be planted where, than fly by the seat of my pants as I’m planting in my sporadic spare time. I’ll be starting some more tomatoes and peppers indoors this month, as well as a bit more kale. While I would love to experiment with starting lettuce and collards indoors, I don’t think I’ll get to it this month. I’m quickly running out of room on my small shelf, and I can easily start them outdoors. 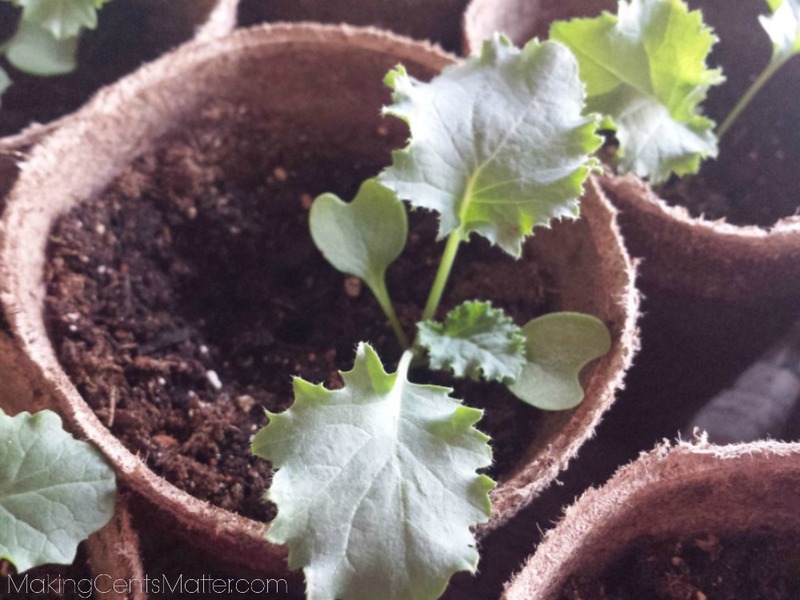 Towards the middle of the month, I can start weaning any cool weather seedlings I have to get them prepared for outdoor life. This includes, but isn’t limited to: kale, broccoli, cauliflower, cabbage, and brussel sprouts. 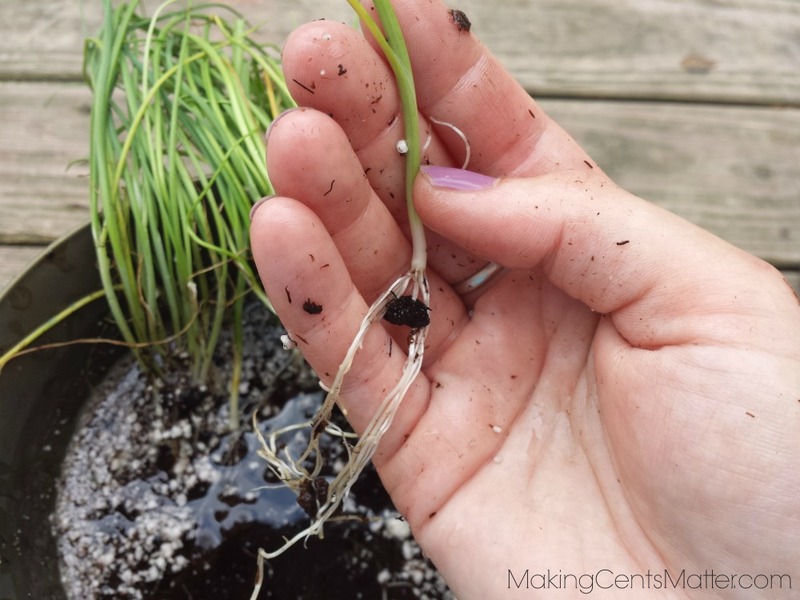 I will also be able to transplant any onion sets that I have. The end of April brings us about 4 weeks away from our last frost, so we can start planting seeds outdoors! 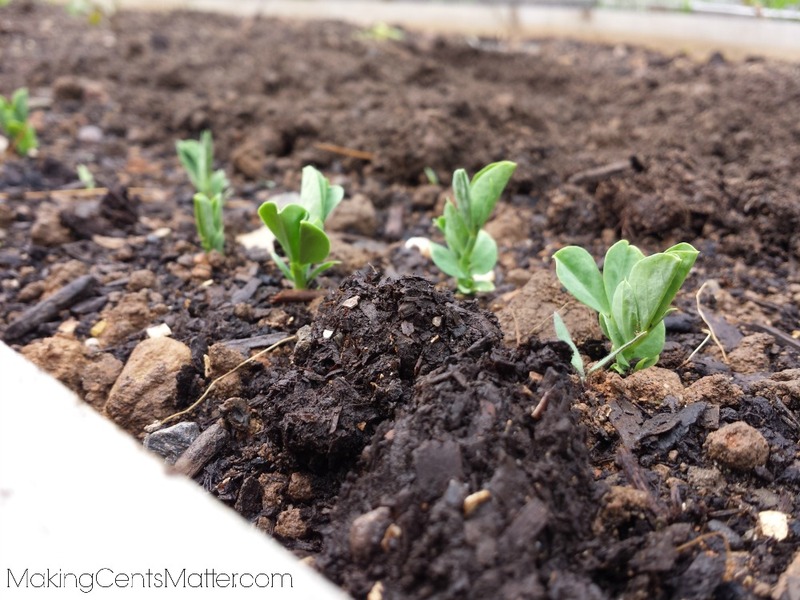 Peas like the cooler weather, and can be planted outdoors about 5 weeks before your last frost. The very end of April brings me outdoors planting all types of arugula, lettuces, chard, and spinach. Leafy greens are an excellent source of iron, which we could all use more of. This year we’re trying corn salad* and bunny garden variety pack*. I can’t wait to see how these do this year! 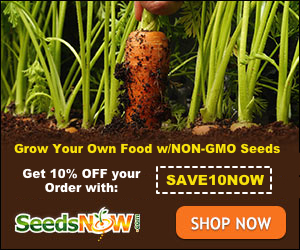 We can also plant carrots, beets and radishes this year. I tend to go overboard on carrots and beets, but to go easy on the radishes. The only on in our family who eats them is Fuzzy, our resident rabbit. She loves radishes, and loves any fresh stuff she can get! So we always make sure to grow some food for her. Yes! Harvesting in April! This month I’m hoping to be able to get our first harvest of asparagus. I bought some 1 year old roots two years ago. I had to wait 2 years before I could harvest them. They’ve grown fantastic in the last few years, so I’m excited to see how they’ll do this year, and how much of a harvest we’ll get from them! 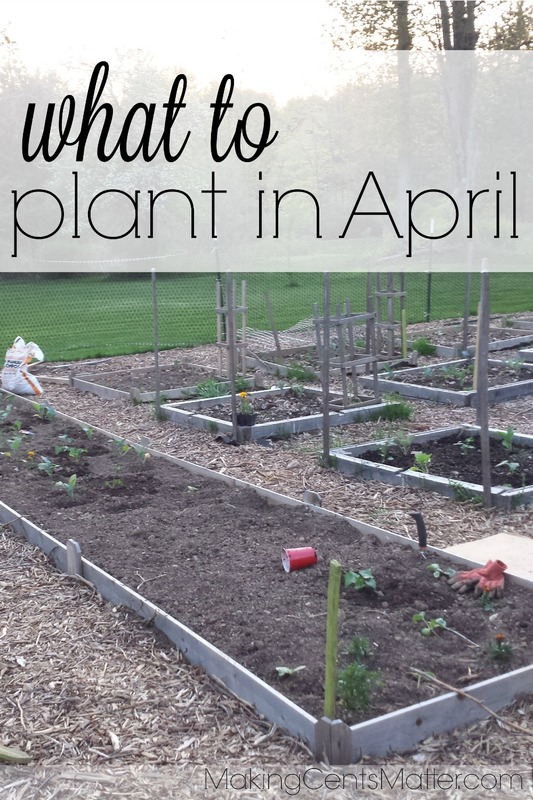 Looking for tips on what to plant in other months? 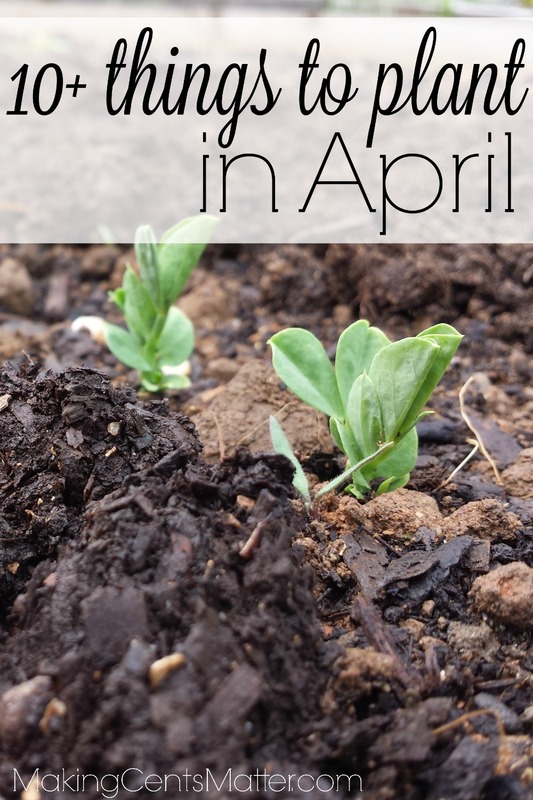 What are you planting in April? 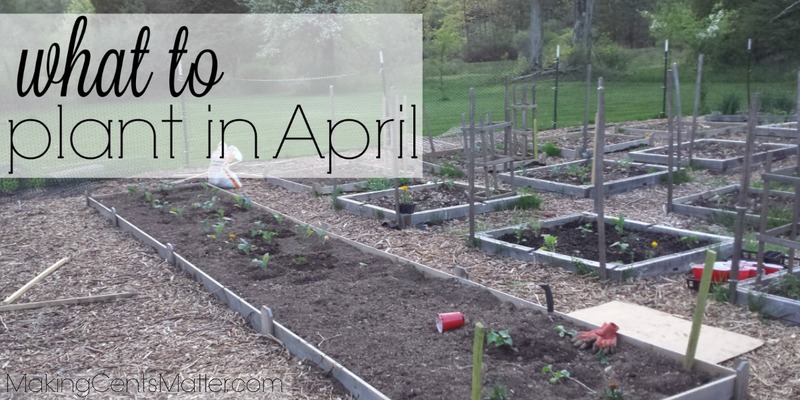 Do you have any specific garden chores you need to do this month? 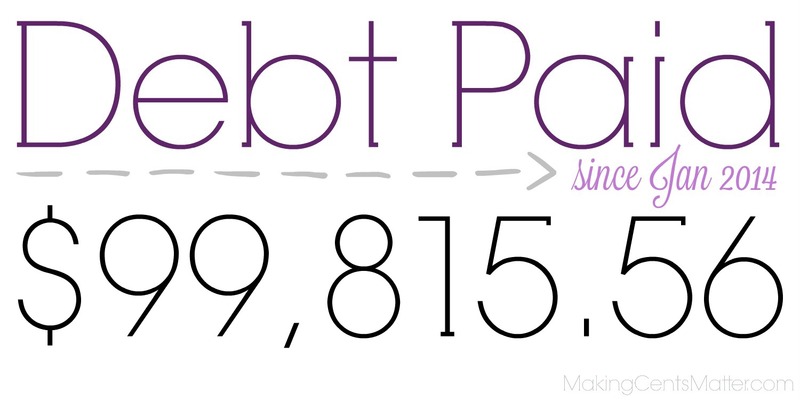 I’d love to hear about it below! Great article! 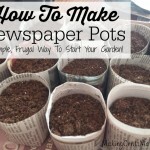 Now that spring has finally arrived here in Ohio this week, I’m getting so excited to begin my garden. 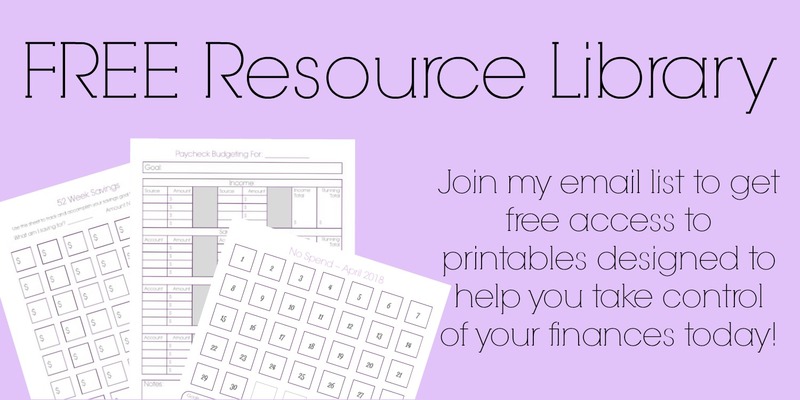 I shared this article to our fb page. Thank you! Hey Kate, you have shared great article. It is always a question that what to plant in summer. We can plant indoor also. Thank you for suggesting name of vegetables for planting. Keep sharing.